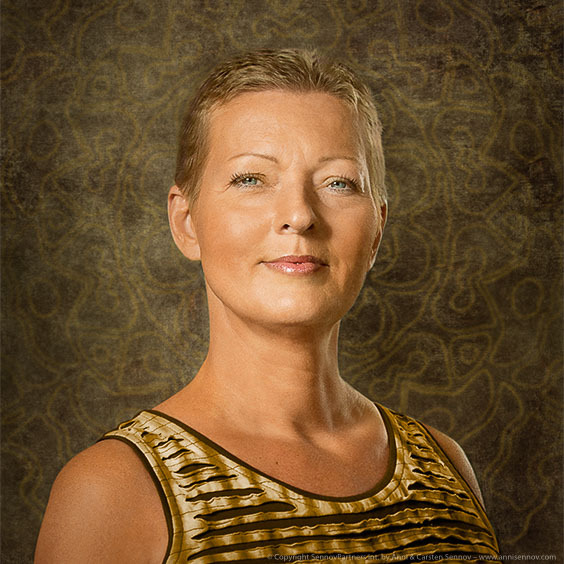 Anni Sennov is the founder of AuraTransformation™, a powerful method for expanding your consciousness. She is also the founder of the Aura Mediator Courses™ which take place in many countries around the world. She works on a daily basis with the directors and course instructors of the Aura Mediator Courses™ worldwide. Anni Sennov is a clairvoyant advisor, international lecturer and the author of more than 30 books about spiritual energy, consciousness and self-development, as well as AuraTransformation™, personal development, New Time children and relationships, etc., of which several books have been translated from Danish and English into a number of languages. With her husband, Carsten Sennov, Anni is the owner of Good Adventures Publishing, and co-owner of the management consulting and coaching company SennovPartners, where she advises clients about personal development, energy and consciousness. Anni and Carsten Sennov jointly created the personality type indicator the four element profile™, which includes four main energies corresponding to the four elements Fire, Water, Earth and Air, which everyone has in different combinations and strengths. Anni Sennov was born in Denmark in 1962 and she originally began her career in the financial world. Since 1993 she has had her own practice of personal counseling. Her great strength is her ability to clairvoyantly perceive multiple relevant situations and circumstances in her clients’ personality and consciousness. In 1996, after several years of serious illness and years of intense work with New Age Energies, she gained access to consciousness-based knowledge of the New Time Energy and the future human aura structure. No one else knew about this in Scandinavia at the time. This was the dawning of a new controversial trend of having your aura transformed to match the New Time Energy through an AuraTransformation™. You can subscribe to her English newsletter at www.annisennov.com. See her travel schedule and event calendar here.